Drake's Scorpion reached 130 million streams 130 million doesn't count how many times listeners repeated the album to keep the music playing. Silence is golden…good music is platinum. This point was proven by Drake’s newest album Scorpion, which went out and racked up 130 million global streams in its first twenty-four hours. While that number—130,000,000— counts streams, it doesn’t count how many times the music was on repeat. Repeating the album keeps the music playing. This speaks to the force of Drake’s beats, lyrics, and style. There are those inexplicable times when a song just speaks to you and you have to hit the repeat button. Maybe it’s the lyrics, maybe it’s the beat, maybe it’s the situation you find yourself in. No matter the reason, we’ve all experienced a time filled with a single song or album that defines an emotion. These unique times, when you keep the music playing, are doing more for you than you may realize. Happy or sad, angry or joyful, there’s music that comes to mind to help us express these feelings. And it may not be solely music that we turn to when we’ve experienced a great loss or a profound victory. These moments, nonetheless, wouldn’t be as impactful if they did not have music. When we recognize the benefits of music, we can begin to strategically incorporate it into our daily lives. As opposed to listening to music to deal with negative emotions, we can instead play a song in anticipation of those situations we know to cause us stress. Jenny Hole, Martin Hirsch, Dr. Elizabeth Ball, and Dr. Catherine Meads conducted a review in 2015 on this very idea. They checked medical records of patients who’d undergone surgery. 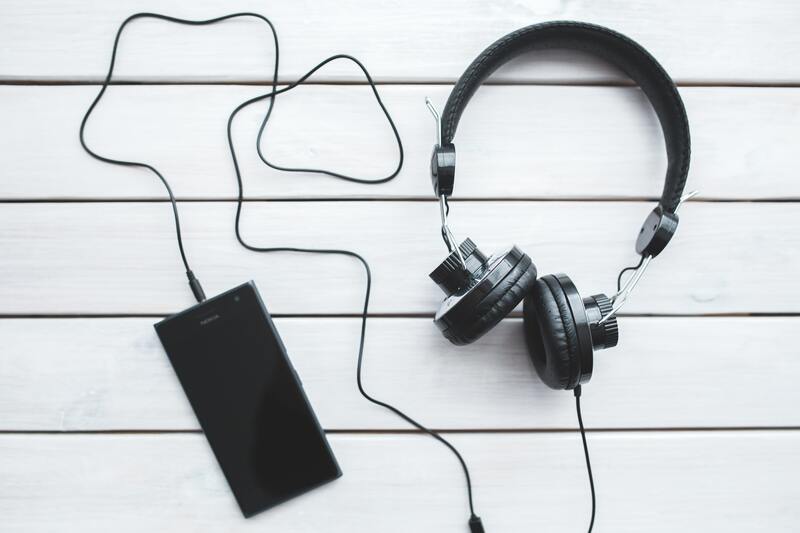 There were those who’d listened to music before, during, and after their surgery and reported feeling less stress in anticipation of the surgery, coupled with a speedier recovery time afterward. Patients who didn’t listen to music at all found their stress levels higher and their recovery time to be longer. More interesting than that; listening to music while under anesthesia was shown to have a positive effect on recovery time. The study was inconclusive as to whether these patients were listening to Drake or one of his haters. Scorpion consisted of 25 tracks! For Drake to produce that much music, he did more than mine his own experiences for material, he collaborated with a host of artists, both new and old, to create new music to fill out Scorpion. Music was part of the process of creating new music. Beyond creating tracks for albums, you can use music to boost your own creativity. It’s been shown that listening to happy music does, in fact, boost divergent thinking—also known as being creative. Don’t limit yourself to just Drake, however, as instrumental music does a better job of accessing the right side of the brain. The right side is where images are stored. By listening to music without words, we put the focus on the right side of the brain. The left side is where words are stored, the logical side. When we listen to music with words, we’re pulling from both sides of the brain. This doesn’t take away our creativity, our brain’s focus is simply split between the two sides. If Drake gets your creativity going, then keep listening to Drake. If you want to branch out into the more instrumental side of the music spectrum, there’s classical music. For those who wouldn’t go near classical music, don’t worry, there’s Epic Music. Epic music is the stuff you hear on trailers for movies and games. Believe it or not, there are bands out there that create such music. Just check out Two Steps From Hell, Heavy Melody, Colossal Trailer Music, Phantom Power, Brian Delgado, and much more! The greatest movies have spawned some of the greatest music ever. Thanks to composers like John Williams, Hans Zimmer, and Alan Silvestri, there are those tunes we hear and automatically think of Superman, Batman, The Avengers, Jurassic Park, Star Wars, and many more movies. While these movies tell a story, it’s the music that hints when we need to feel excitement, fear, betrayal, anger, happiness, and ultimately, success. Take the music away from these movies and the experience would feel significantly less. Just try it and you’ll see. While silence is golden, admit it, having music playing does give even the most mundane events a bit of a boost. To ensure your experiences are never without a soundtrack, download a music streaming app today. There are plenty available; Apple Music, Prime Music, YouTube Music, Pandora, Slacker Radio, Spotify, and Tidal… to name a few. Of course, which is better is an ongoing debate... which I'll levae up to you. If Scorpion has taught us anything about music is that it is not a one-time thing. Good songs, artists, and genres do so much more than just fill the void. When we keep the music playing, we reduce stress, push our creative boundaries, and enhance experiences. Keep the music playing with streaming apps. Check out Spectrum internet bundles in your area.